These toys under $20 offer high-quality play options for the price-conscious. 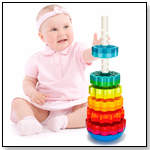 See toys from the companies below at this year's ASTRA Marketplace & Academy in Anaheim, Calif., June 19-22. 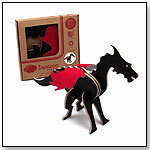 Topozoo Dragon, new for 2011, features a shimmering black finish and red felt wings. Felt 'flames' complete this fire-breathing animal. Compatible with all other Topozoo playsets. Kachooz are an all new collectible line of unique and furry pencil toppers that come with different hair textures and colors. Launching with 36 new characters consisting of 20 different kinds of creatures, Kachooz!™ live in six little groups – tiny tribe clusters they call Moops. The Moops are Nervous, 2Faced, Highlights, Mohawk, and Punk. Come in packs of two or four. These Aqua Pets are updated versions of eight fan favorites from the original line. They feature redesigned aqua pods, offering new games and increased interactivity. Each Aquapet has its own look, sounds and songs. The creatures come alive when kids, or other Aquapets, interact with them. A microchip, microphone and speaker housed in the toy's base enable Aquapets to register and respond to sound. Each character replies with movement and melody. The more kids play with their Aquapets, the more songs they will perform and the livelier they'll become. Aqua Pets can also play three new interactive games: - Memory Moov (a memory-building sequence game) - Aqua Speed (a fast-paced reflex challenge) - Bubble Boogie (a fun and silly way to make your mini marionette dance) Place two or more Aquapets together for an AquaParty and the buoyant buddies will dance, chirp and converse with each other. Each energetic character has a sleep function, because even the most interactive friends need to rest. 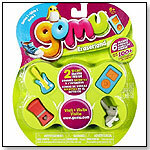 There are 10 Gomu erasers for each of Spin Master's 10 themes. These little erasers come in singles and in packs. The erasers vary in rarity, and you can track how many Gomu points you have on their website (the more rare the Gomu, the higher the point value). Four new licensed Light Up Marble Racers now available in new packaging, unique body styles and vibrant colors. Mustang, Camaro, Corvette Stingray, and Ford GT body styles are cast in translucent blue, red, orange, and yellow plastic. "No other 1/64 scale car lights up in multiple colors utilizing a motion sensored LED light," Peter Koehl, vice president of Skullduggery, told TDmonthly. Available in 12 pack assortments, 12 pack PDQs, and 36 & 40 piece power wings. Launch date: May 2011. Kinsmart - Turbo Scooter Die-cast Collectible Model by TOY WONDERS INC.
5109D Kinsmart - Turbo Scooter. This Turbo Scooter is a 4.75"L x 2.75"W x 3"H die-cast metal with plastic parts and pullback motor action. This Turbo Scooter is manufactured by Kinsfun/ Kinsmart. 12 pcs per display box in assorted colors. Tell Tale is a portable story telling game. Players pick from the 60 included cards, then spin a story based on what has been picked. Packaged in a sturdy round tin, the game is good for travel. There are nearly an infinite amount of unique card combinations to pick, and four variations to spice up the game. "Tell Tale offers a new option to traditional storybooks. Your little one can choose a few cards for you to improvise and tell your own short bedtime story," Nicole Britton from Blue Orange Games told TDmonthly. Launch date: June 2011. Fruitominoes, is a domino game for players aged 5 and up featuring fruit connections rather than dots. "With Fruitominoes, we put our fruity new spin on a classic!" said Rena Nathanson, CEO of Bananagrams. The game comes in a portable pouch so that it can be played at home or on the go. I Spy Wonder Tubes by BRIARPATCH INC. Among the sand and glitter in the I Spy Wonder Tubes are I Spy pictures. 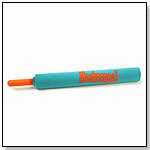 Find the floating pictures in the tube to answer the I Spy riddle/rhymes. 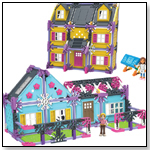 There are three different sets of riddles and five different colors to collect. "The I Spy Wonder Tubes are unique because they feature the I Spy images AND I Spy riddles," Carol Comes, senior product manager at Briarpatch Inc., told TDmonthly. Launch date: February 2011. Each starter pack comes with one collectors book and a pack of numbered stickers to place inside. There are over 1,200 stickers to find to complete the collection, and plenty of places to showcase the child's own designs as well. Each blind pack of stickers that comes with the book includes a water sticker, plus a combination of epoxy, foil, puffy and glitter stickers. Additional refill packs available (Note: It will take approximately 9 sticker packs to fill each StickerZine). This Toob® contains highly detailed, hand-painted landmarks from cities around the world. An educational insert gives fun facts about the landmarks. Includes Statue of Liberty, Eiffel Tower, Leaning Tower of Pisa, the Pyramids of Giza, and more.